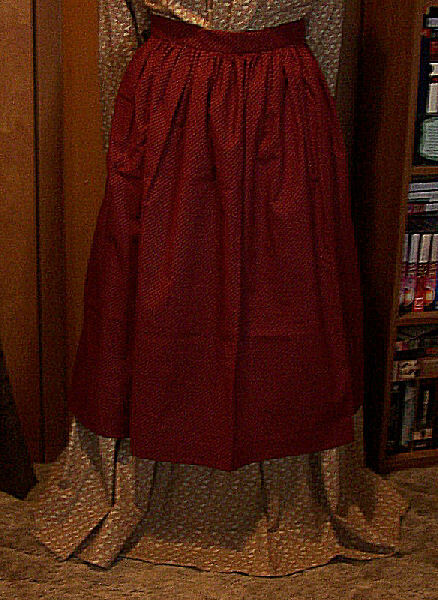 My Period Correct Aprons made of material that are correct for that time period and will go well with many of my Period Correct Western Sunbonnets. 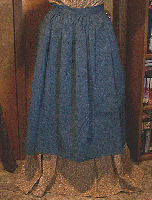 Did you know that the aprons did not match the bonnets the women wore back then? 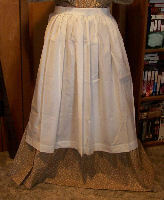 They didn't have quite the wonderful choices of fabric that we do today for our period correct aprons and bonnets. 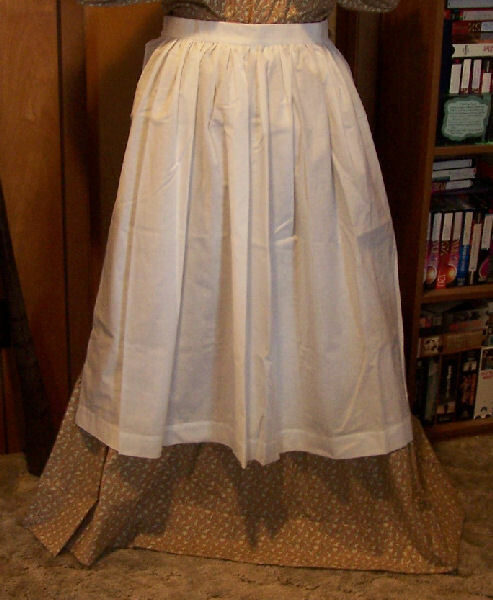 Period correct aprons and mobcaps are made of period correct colors and good quality cotton/polyester; the white apron and mobcaps made of Jamestown cotton. I made these all of a synthetic mateial; a polyester/cotton blend. 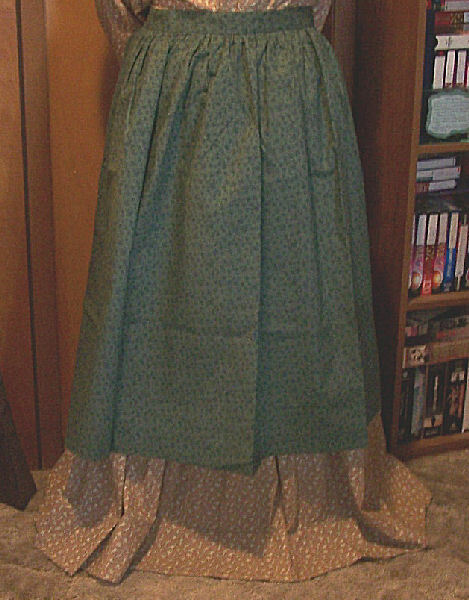 For true re-enactors that are interested in getting as close as possible to the authentic aprons, I can make these out of 100% cotton. But I need lead time as I don't have local access to material that has the type of period correct patterning the most people prefer. 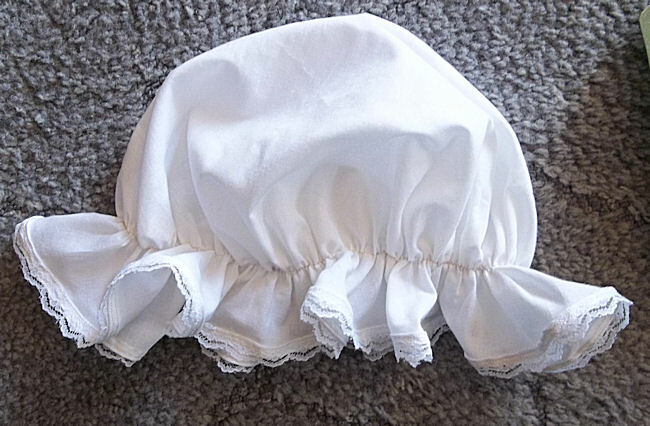 We are unable to provide matching aprons for every bonnet we have for sale. These aprons are super easy to work with. 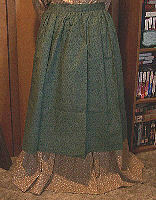 They have long ties in the back and a fairly deep hem. When washing, wash on cool to medium temps, tumble dry and then iron. I usually mist the material to dampen it just a bit and then iron the wrinkles out.